We want talented people who love a challenge, like to get stuck in and who hate waffle! Ryanair are hiring Cabin Crew - If you have exceptional customer service skills we want to hear from you ! Ryanair are hiring Cabin Crew - If you have exceptional customer service skills we want to hear from you! From the cockpit and cabin, from the engineering hangers to our head office, we want a team that is innovative, fast-acting and hard-working. We want talented people who love a challenge, like to get stuck in and who hate waffle. We are building the best digital travel team on the planet. And if you are digitally savvy and have great development skills, we can offer you a rewarding environment within which to grow your career! We give you the opportunity to prove yourself and let your career take off. It’s down to you how high you go! Since then we have increased our aircraft fleet from 1 to over 450, grown our annual traffic from just 5,000 in 1985 to 139m in 2018, grown our people from 51 to over 16,000 and also created thousands of spin off jobs. By 2024 we aim to have over 585 aircraft carrying over 200m customers. If you have a work hard mentality, and you are ready to hit the ground running from day one, then we want to hear from you ! With a fleet of 585 aircraft by 2024, Ryanair can offer the best career opportunities and progression in the industry. 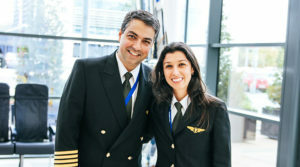 As an airline, we can also offer our employees generous travel benefits from day one with over 2200 daily flights from more than 84+ bases, connecting over 220 destinations in 37 countries, giving you the opportunity to fly abroad on your days off. Rome for lunch? Beach in Spain? Or Skiing in Austria? With a fleet of 585 aircraft by 2024, Ryanair can offer the best career opportunities and progression in the industry. – you’re definitely ‘one of us’. Did you know that Ryanair has a huge support network that helps run our operation on a day to day basis from our head office in Swords, Co Dublin. We are currently looking to recruit both qualified and part qualified accountants who want to join a forward thinking, progressive finance team. If you have the ability to roll up your sleeves and a get the job done mentality, then we would be delighted to hear from. Please note that Ryanair is an equal opportunities employer. Applications for employment can only be made through the channels detailed on this website. Applicants who canvass (by phone, direct contact or through existing employees) will be disqualified. Please note that due to the high volume of applications that we receive, unfortunately we will only be in contact with you if you have been shortlisted for an interview.